Over the last 10 years, United States Immigration Courts have faced a surging caseload that has dramatically strained available court resources. As of June, 2017, there were over 600,000 pending cases that, on average, take 672 days from filing to disposition. Recent newspaper editorials sound alarms on the issues facing Immigration Courts. The Des Moines Register said the courts “are not simply backlogged with cases, they are swamped.” The Los Angeles Times editorial board plainly stated the “enormous backlog has real life consequences.” And the Washington Post characterized due process as “a fading ideal” in Immigration Courts. From an administrative standpoint, U.S. Immigration Courts lack the resources to efficiently manage the cases brought before them. Though commonly neglected in policy discussions, federal Immigration Courts play the pivotal role in the noncitizen removal process. U.S. Immigration Courts are trial-level tribunals which are part of the executive branch, rather than the judicial branch. Within the U.S. Department of Justice, the Executive Office for Immigration Review (EOIR) administers the Immigration Court system. As part of the executive branch, Immigration Courts are more vulnerable to shifting political pressures than the federal judiciary. Currently, there are 58 Immigration Courts with over 300 United States Immigration Judges located in 27 states across the country. U.S. Immigration Courts are civil, not criminal, proceedings — a noteworthy distinction. Only criminal defendants are constitutionally entitled to a lawyer, so there is no right to counsel for respondents in Immigration Courts. Nationally, only 37 percent of respondents obtained legal representation in removal cases. The identification of an alleged noncitizen by the federal agency Immigration and Customs Enforcement (ICE) is just the beginning of an often-protracted legal process. 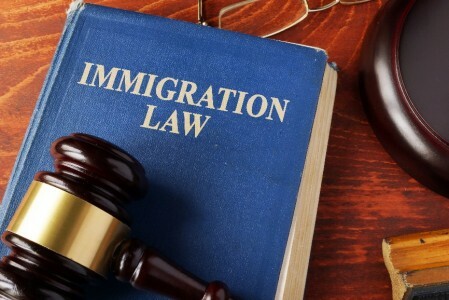 The Immigration Court process begins with a Notice to Appear (NTA) from ICE, a charging document which accuses the respondent of being in the United States without proper authorization. The NTA alleges grounds for removal, and schedules a master calendar hearing before a U.S. Immigration Judge. While removal proceedings are pending, respondents may be held in ICE custody, released on bond or put on conditional parole. The first master calendar proceeding deals with case scheduling, motions and pleadings. Next steps for the respondent include designating a country for possible removal, and stating any desire to apply for asylum. 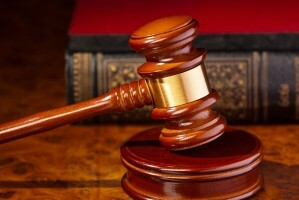 A judge may set the individual, or merits hearing, months or even years after the initial proceeding. During this hearing, the judge hears arguments, takes testimony, reviews documents and considers any application for asylum. Once completed, the immigration judge issues their findings in an oral or written decision. If the judge finds the respondent is removable, he or she will sign an order of removal for ICE enforcement. The 17-member Bureau of Immigration Appeals (BIA) is the first appellate venue, where appeals are decided by a single member or three-member panel. Finally, BIA decisions can be appealed to the United States Circuit Courts of Appeal within the judicial branch. In 2010, the American Bar Association (ABA) advanced their own comprehensive proposal to Immigration Court reform. The ABA report strongly recommended increased staffing, training, and court technology (including e-filing) for the EOIR. In 2012, the Administrative Conference of the United States promulgated their own recommendations. Among many proposal points, they supported increased funding to provide legal representation for respondents, as well as the implementation of differentiated case management techniques and court performance measures. The National Association of Immigration Judges released their own blueprint for reform in 2013. The group of judges advocated for a code of conduct, increased training, and performance evaluation system for immigration judges. They also called for a chief administrator for each immigration court, and increased support staff. In June 2017, the United States Government Accountability Office (GAO) sent Congress a comprehensive review of the EOIR. The GAO made 11 recommendations, some of which include improving EOIR’s hiring, workforce planning and caseload data analysis. Additional funding to bolster EOIR should, in theory, be a simple solution. Several reforms that require long-term dedication, such as workforce planning, do fall under the responsibility of the EOIR and the Office of Attorney General. Broad, systematic reforms are dependent upon legislative action by Congress. While lasting changes are easily implemented, the good news is there are many well-researched proposals to draw from. U.S. Immigration Courts issue decisions which impact millions inside and outside of the United States. While policy debates continue, these courts work diligently to apply laws to real lives. Absent meaningful administrative upgrades, the old adage “justice delayed is justice denied” may ring true too often. This article presents the personal views of the author, and does not represent the New Jersey Judiciary.